A new LEGO Marvel Collection video game is coming out soon! 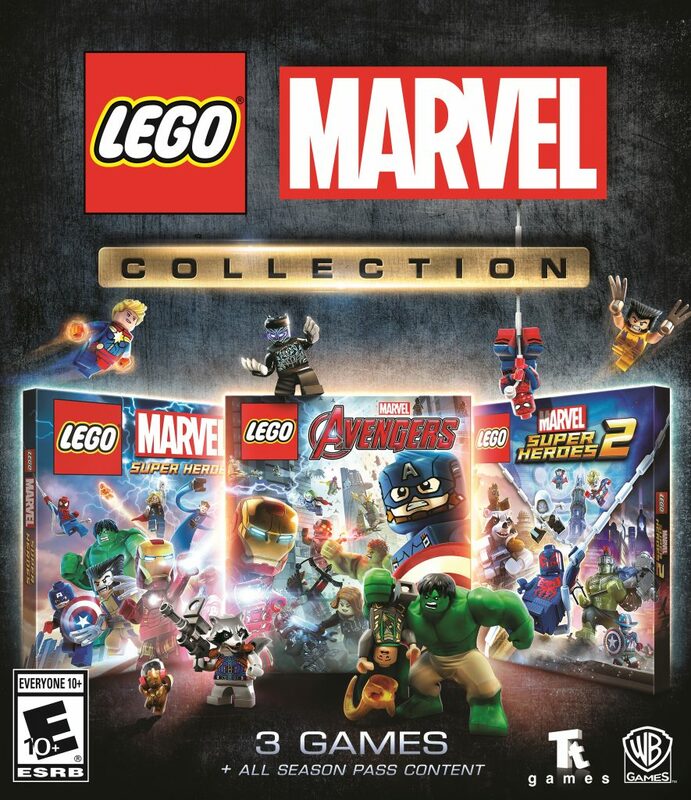 The bundle product includes LEGO Marvel Super Heroes, LEGO Marvel Super Heroes 2 and LEGO Marvel Avengers. Available March 12, 2019. Platforms include PlayStation 4 and Xbox One. See below for the full press release. Burbank, Calif. – Feb. 5, 2019 – Warner Bros. Interactive Entertainment, TT Games, The LEGO Group and Marvel Entertainment today announced the LEGO® Marvel Collection, bringing the top-selling videogames LEGO® Marvel™ Super Heroes, LEGO® Marvel Super Heroes 2 and LEGO® Marvel’s Avengers together in one package. The three-game compilation will be available March 12, 2019 for PlayStation®4 computer entertainment system and the Xbox One family of devices.